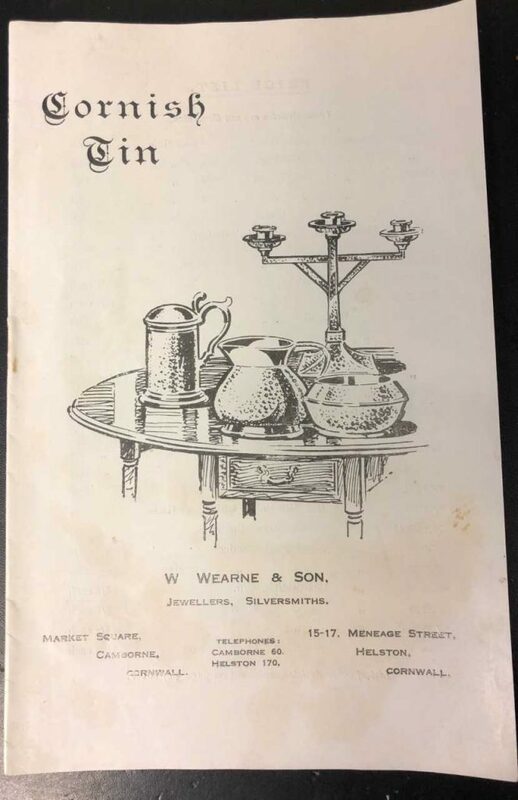 Wearnes Jewellers established in 1890, by William Wearne, is headed by fourth generation family member Sarah Corbridge and her husband Adam. Click here to learn about Wearnes History. 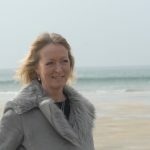 Sarah is the inventor of the famous Cornish Tin & Gold alloy, and has received commissions from the very highest of places! 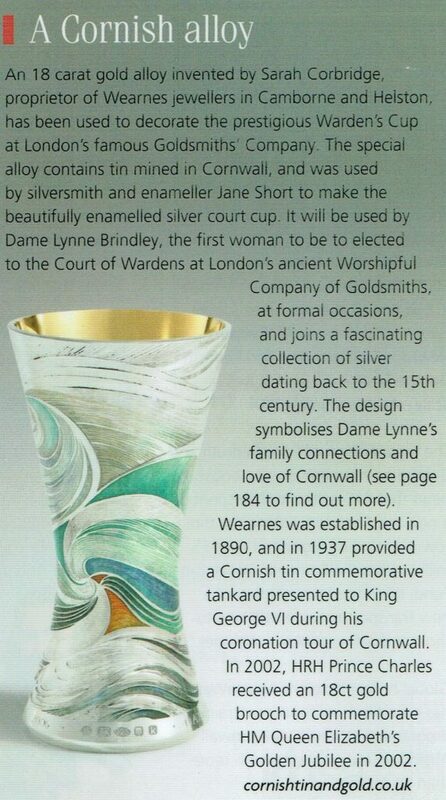 A ceremonial cup, lined with her 18ct Cornish Tin & Gold is held at the Goldsmiths Hall in London. Below you can see examples of some of her many commission pieces. Sarah has brought a modern influence into an establishment with unmatchable experience and professionalism, bringing Wearnes to the forefront in retail jewellery. Her artistic flair has created a luxury shopping experience in store, adorning them with hand embroidered silks and crystal chandeliers. Sarah’s jewellery is both classic and contemporary, tailoring it to tastes of her clients. 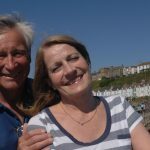 Specially designed bespoke commissions and remodelling of family heirlooms have become Wearnes speciality – and tokens of love leave romantically from Cornwall for all over the world. In the 1990s, Sarah designed the ‘Lily of the Valley’ range of jewellery with Helston’s famous Flora Day in mind, as well as the Cornish Diamond Tin Collection – made from salvaged shipwrecked Cornish Tin and diamonds, now available as part of the St. Justin tin range. In 2002 HRH Prince Charles received an 18 carat gold Lily of the Valley brooch to commemorate HM Queen Elizabeth’s Golden Jubilee. 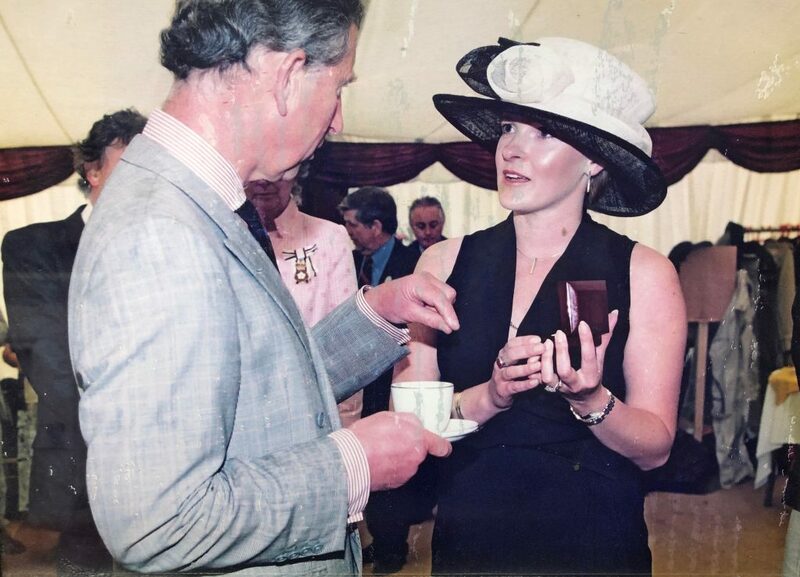 HRH Prince Charles also received some Cornish Tin cufflinks. 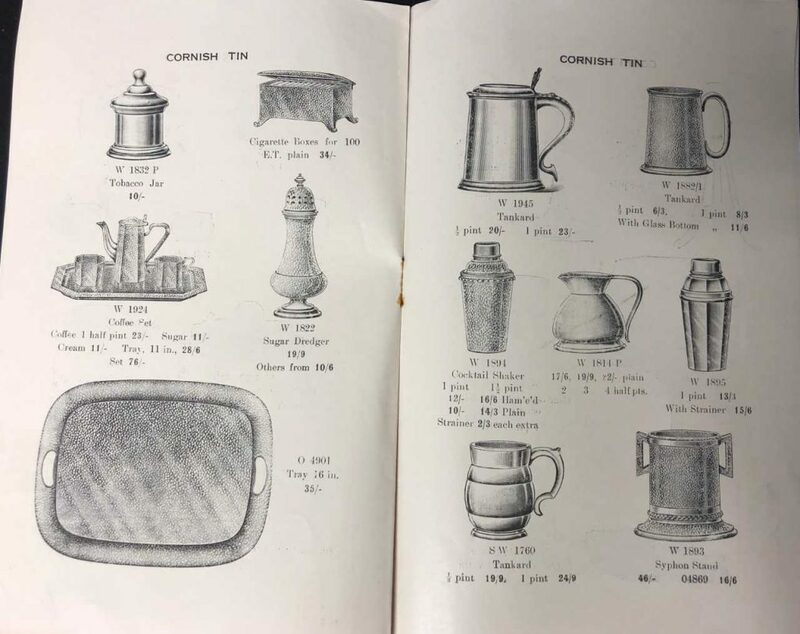 A Cornish Tin tankard made by Wearnes in the early 1900’s was presented to King George VI by Camborne Chamber of Commerce, during his coronation tour in 1937. 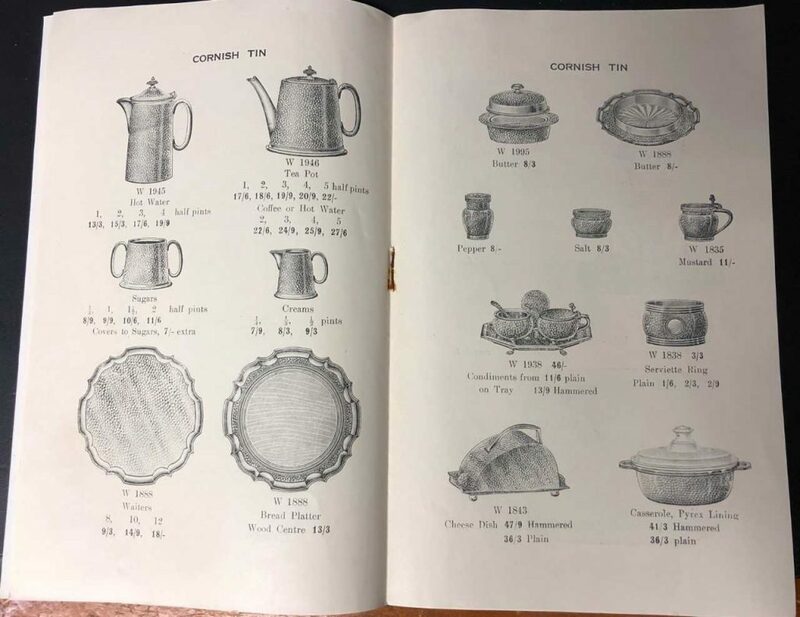 In the early 1900’s Wearnes produced a range of holloware, including teasets, candlesticks, vases, sugar dredgers etc, made from over 95% pure Tin, mined from Cornish mines. This was only available from Wearnes. 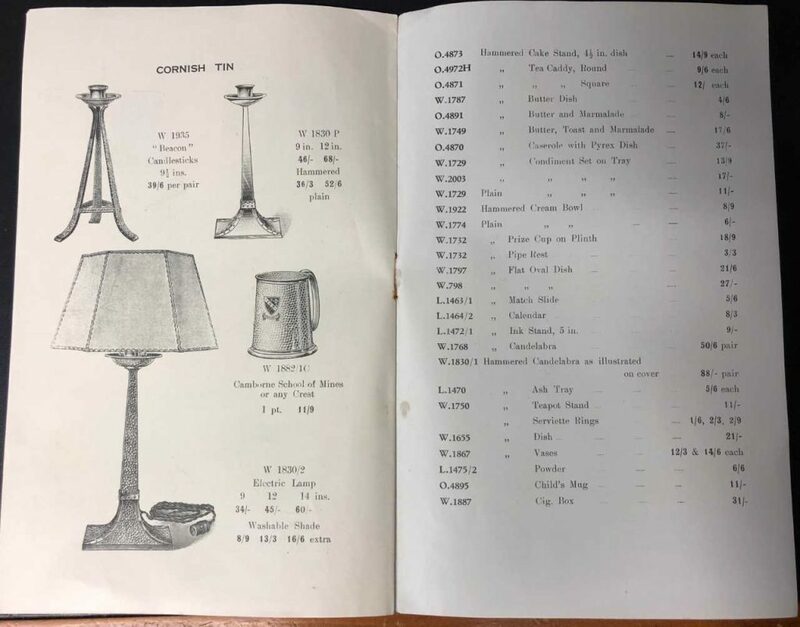 Examples of some of these items are shown in the photographs alongside, as well as one of the original brochures. You can recognise one of Wearnes special Cornish Tin items from the stampings on the base. 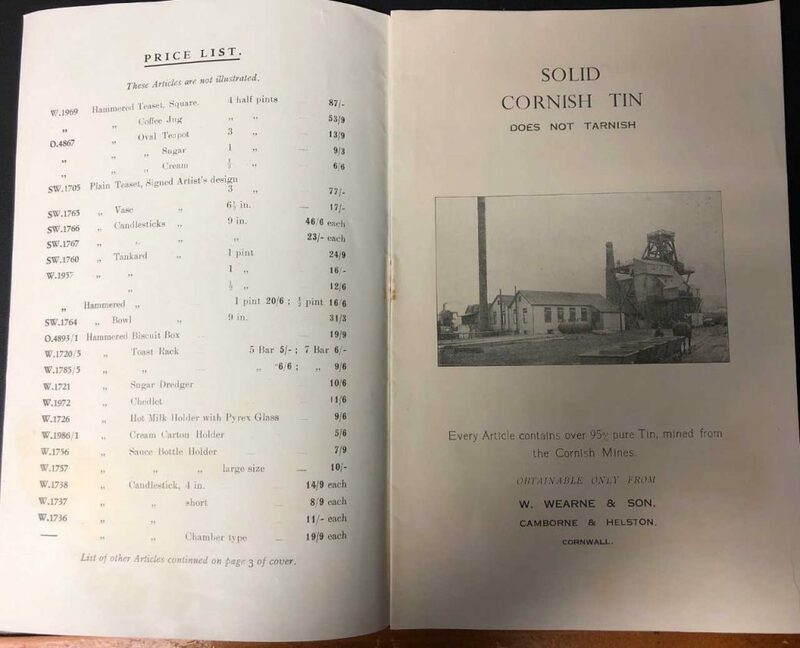 The most exciting venture for Wearnes, marking its descending history through four generations, is definitely Sarah’s invention of the alloys of 9/18 carat gold and silver containing historic shipwrecked Cornish Tin (patent pending). 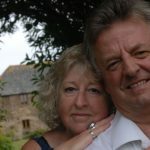 This is intended so that everyone with a love of Cornwall can own a little piece of it and enjoy all types of conventional jewellery made from it, with no limitations on stone setting and design. Unique to Wearnes ‘Cornish Tin & Gold’ is in great demand wherever Cornish miners and families have settled. 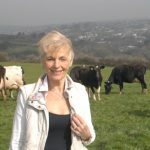 You can view Sarah talking about Cornish Tin & Gold on the Escape to the Country Series 15 Episode 2. Above Karen Gaunt, Remiki Austin, Nicki Chapman, Colin Girling, Sarah Corbridge and the film crew. Our Helston store on the left, next to our Falmouth store on the right (our Cambourne store) which was relocated in 2012. Wearnes Jewellers have been making bespoke jewellery for many, many years. 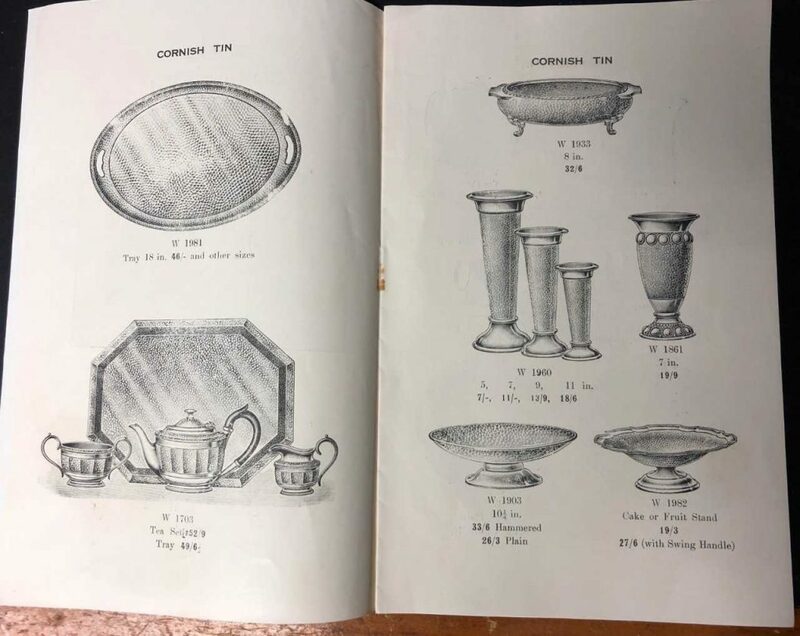 Take a look and read just a few of the many stories that inspired customers to ask Sarah to commission designs for them, or remodel and renovate their existing items of jewellery. With the option to make jewellery even more special and unique, by incorporating our very own Cornish Tin & Gold mix, get in contact with us now if you have any ideas or designs. 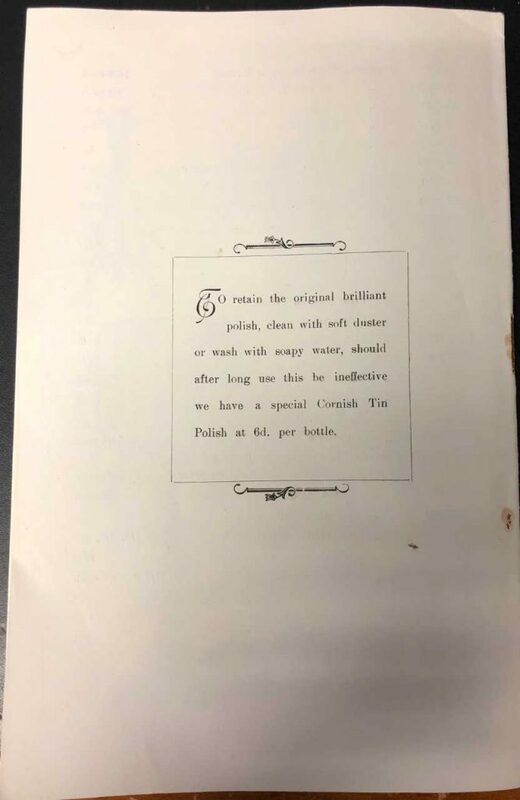 Perhaps you have a special gemstone you want to do something unique with? 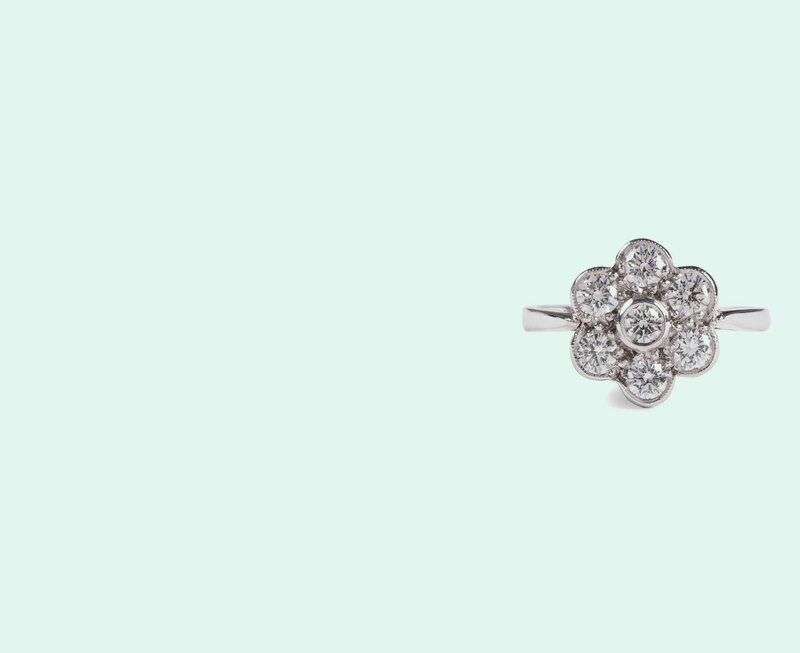 Maybe you want to change the look of your Diamond ring? We will source the best gemstones worldwide and can provide you with any stone, in any size and grade desired; as well as a great range of ring shanks and styles from which to choose from. All prices on application. 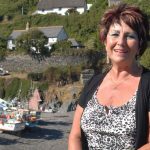 For more in depth information on your jewellery commission in Cornwall contact us today. "After Debbie’s parents passed away Sarah helped the Osborne’s design a piece of jewellery for Laurence; using the gold from Debbie’s fathers ring and the sapphires from Debbie’s mother’s engagement ring. This created the tasteful piece which combines the sentimental value of Debbie’s parents jewellery and the beginning of a treasured heir loom for the Osborne family. Debbie was inspired by Sarah’s “trade mark” design of a Cornish map lasered within all of Sarah’s Cornish Tin & Gold wedding bands. She used Sarah’s excellent design skills to design a pair of unique cufflinks in the shape of the map of Cornwall for Laurence. As an extra touch, Sarah suggested adding a diamond marking the location of their Cornish home." 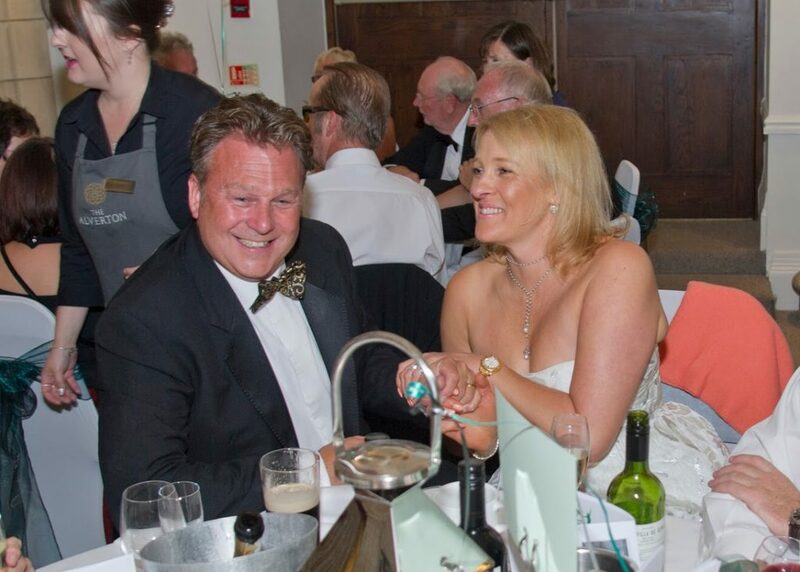 If you want to know more, or have any questions about the history of Wearnes, then please do not hesitate to get in contact with us today – we will be more than happy to help.